So enjoy the beautiful images below with my take of how you should portray your fabulous sense of style. I always love working on new projects and this one just worked! We used simple elements to create a magical fairy land. Styling was so fun incorporating soft colors and light fabrics with pops, including the awesome black boots with a silver heel! I was able to work with such a great team! This was a super simple but elegant shoot. This is one of my first just beauty photoshoots and focusing on accessories to add that perfect styling mix. Loved the classic look "Tiffany per say" added with some edge and a shot outdoors with some perfect pieces from "The Perfect Pair" in Green Hills! Loved every look and really enjoyed the Team! This shoot was a favorite! The concept I envisioned for this was a mix between light and dark "Tron vs. Swan". The airy light feel is portrayed with the cage netting and white gloves vs. the dark black sweater. This allowed for the perfect mix. The spread appeared in Her Nashville. This shoot was also part of The Mall At Green Hills campaign. The styling was simple and elegant. I loved the use of glass to cast a reflection but representing your true self is what I wanted to convey. We all have a dream world that we wish to be in however, here I wanted to showcase wearable and affordable beautiful dresses, sparkling jewelry, and suiting. "Elegance is when the inside is as beautiful as the outside." I was lucky enough to style a campaign for The Mall At Green Hills. 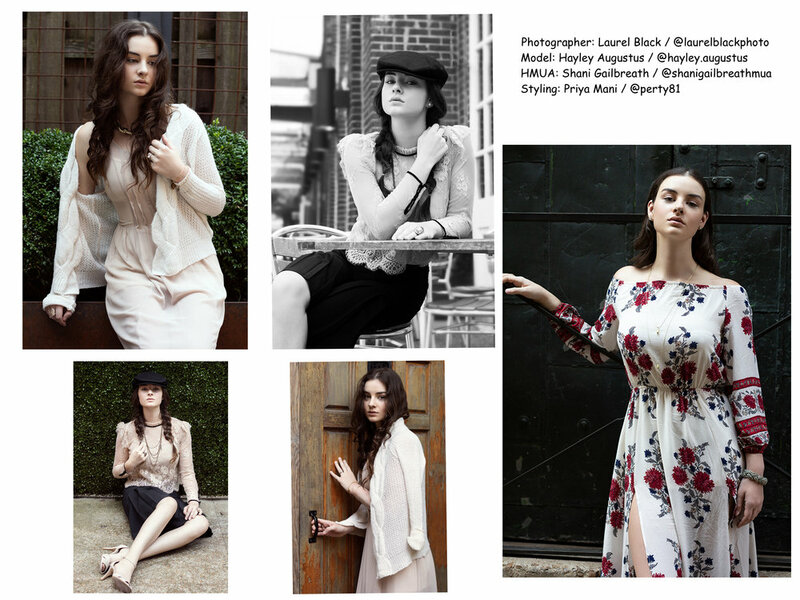 Below are some photos that reflect poise, confidence, and flair! A lot of staging and creative direction went behind the scenes to create each look and was a lot of work but worth every minute of it! Shots were taken throughout stores in the mall and wardrobe was pulled from stores in the mall as well! It is baseball time and we want to make sure we have the perfect outfit for the big games! Here are some stylish looks that you can create from your own wardrobe! I styled this spread for Her Nashville and it was super fun to be able to be in the Nashville Sounds Stadium. Let's go support our teams. See you at the ball field! This shoot was all about creating a feel and a cloudy state of mind. Cool vibes and edgy looks was the goal. So fun working with Kink Ador. Styling this shoot was very different and I enjoyed getting to know the musicians and listening to their music to get the perfect disposition for the overall ambience! Check out the images below. Let me know how it makes you feel? Musician, Nora Jane Struthers, a beautiful girl with pose and sophistication, was a joy to work with. We went with a balance between simple and elegance for wardrobe. 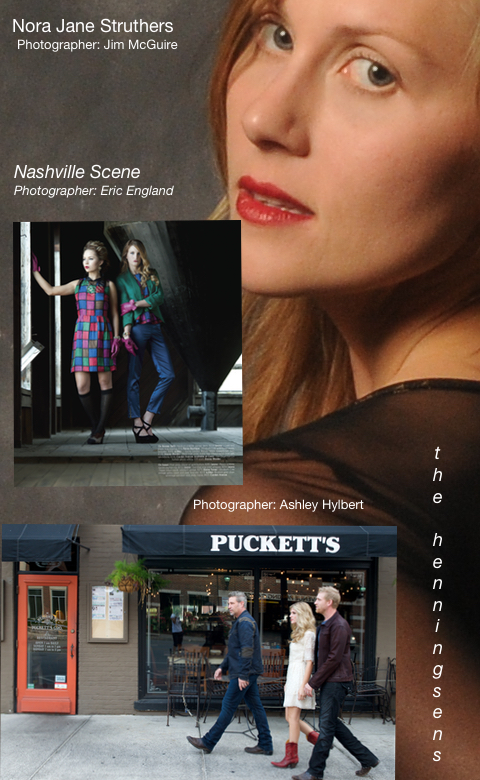 The Nashville Scene Fashion Issue is always fun to style! Playing with bold colors and structures was the theme and staying on trend is a must! The last photo features The Henningsens. This was a really fun project joining with CMT/Southern Living for their Music City's Greatest Eats. Who doesn't love food, fashion, and learning what the celebrities's favorite recipes are? Heading Back of House for a look into Jason Wu's Fall 2018 Collection, was such a great experience! Take a look into what happens behind the curtain. So much fun, chaos, and exhilaration! 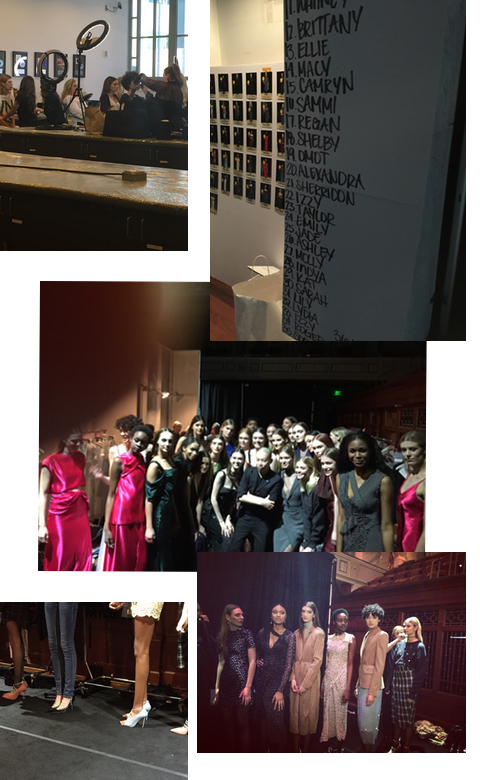 Took place at the beautiful Nashville Symphony and was so fun to be a part of Gus Mayer's production team for the show! Working on some new things in some creative spaces..